On Thursday, President Trump and President Xi spoke on the phone on topics such as trade and North Korea, indicating positive momentum towards a possible upcoming meeting between the two leaders at the G20. President Trump tweeted later that he'd had "a long and very good conversation with President Xi. . .discussions are moving along nicely," while the Chinese readout of the call reported that President Xi noted successful precedents for resolving economic and trade disputes between the two countries and pointed to next week's Shanghai import expo as evidence of China's opening up process. Bloomberg reported on Friday that President Trump may have asked key U.S. officials to begin drafting potential terms for a deal to halt mounting economic friction with China. The conversation came during a week in which the Trump administration has escalated its response to alleged theft of intellectual property by Chinese organizations. On Monday, the U.S. issued another purchase ban on a Chinese technology company for national security reasons. State-owned Fujian Jinhua Integrated Circuit, which manufactures semiconductors used in smartphones, laptops and servers, will be blocked from purchasing American components in response to allegations the firm stole intellectual property from U.S. semiconductor firm Micron Technology, as Reuters reports. And on Tuesday, the U.S. Department of Justice formally accused 10 Chinese nationals, including intelligence officers, of theft of commercial aerospace technology from American and European firms over a period of five years. For an analysis of the barriers that may prevent Presidents Trump and Xi from reaching an agreement at the G20 later this month, read Cheng Li and Diana Liang's article from earlier this year on why it may be difficult to cut a deal to end the trade dispute. 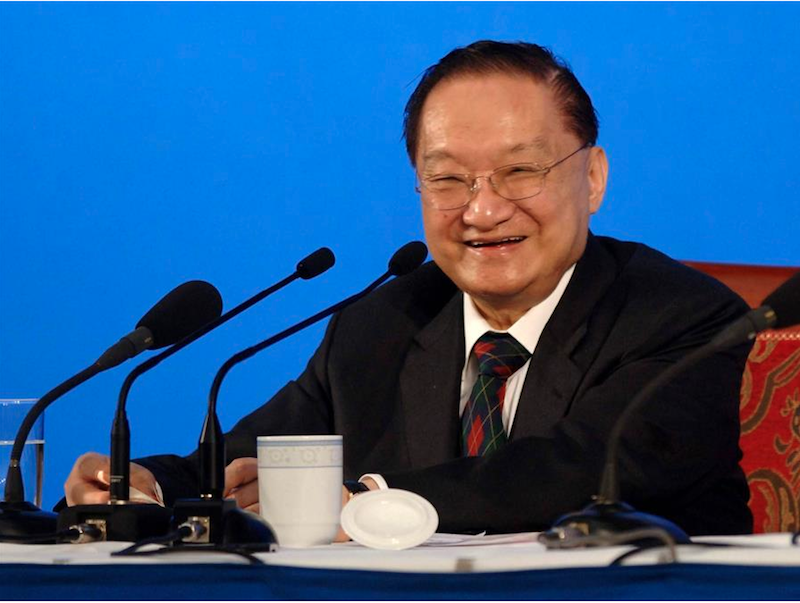 On Tuesday, the world lost famed Chinese martial arts novelist Louis Cha Leung-yung, best known by his pen name Jin Yong, who passed away from a long illness at the age of 94. He is said to have sold more books than J.K. Rowling, author of the international phenomenon "Harry Potter." Originally born in mainland China, Mr. Cha spent the majority of his life in Hong Kong, initially putting pen to paper as an essayist and co-founder of one of Hong Kong's largest newspapers, Ming Pao; later transitioning his writing talents to the world of literature. Mr. Cha is regarded by many as one of the most influential wuxia authors of the 20th century, dominating the genre of martial arts and chivalry stories. He somewhat stumbled into the genre, initially writing his first novel, The Book and the Sword, as a serial piece for a newspaper. This book's instant success spurred Mr. Cha's prolific career. He completed 14 additional novels during his lifetime. Despite publishing his last work in the 1970s, Mr. Cha's fantastical world continued to come to life in television shows, films and video games. His most famous series, The Legends of Condor Heroes, was recently translated into English, facilitating his introduction to a wider audience. The works of Mr. Cha are compared to smash hits in the West such as JRR Tolkien, whose Lord of the Rings universe defined a generation. Critics often praised his use of poetic language to create a fictional world that was distinctively Chinese, with Hong Kong's Chief Executive Carrie Lam saying that Mr. Cha's writing "inherited the tradition of Chinese classics with the integration of history and culture." While able to capture the unique qualities of Chinese fantasy, Cha noted that he did not seek a place in history. Instead, he said, "All I want is that after one or two hundred years, there will still be people reading my books." The yuan hit its weakest point against the U.S. dollar in a decade this week, which has put China's financial system back under the microscope. 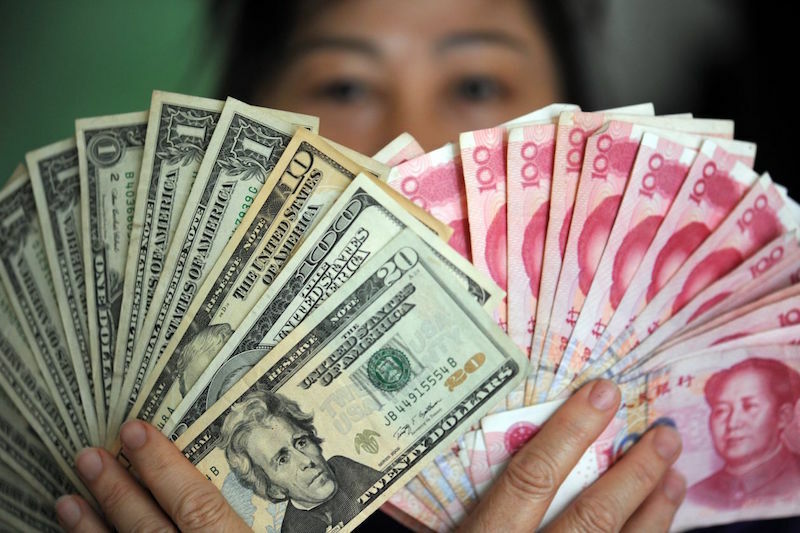 While most currencies like the dollar are free floating — markets set their exchange rates minute by minute — the yuan moves in a controlled way whereby authorities fix a daily midpoint and let the yuan trade as much as 2 percentage points above or below the midpoint. Analysts believe that The People's Bank of China raised offshore interest rates this year, making it costlier to bet against the currency. China's currency has weakened steadily these past few months, but its external debt remains comparatively low despite having risen in the past couple of years. "China might be tempted to double down on stimulating aggregate demand with short-term measures like channeling more infrastructure investment through local governments and further credit easing for state-owned firms. But that approach would risk creating another decade's worth of problems," said Shang-Jin Wei, professor of finance and economics at Columbia University. Structural reforms, such as greater labor-market flexibility, could reduce the risks that China's economy faces. 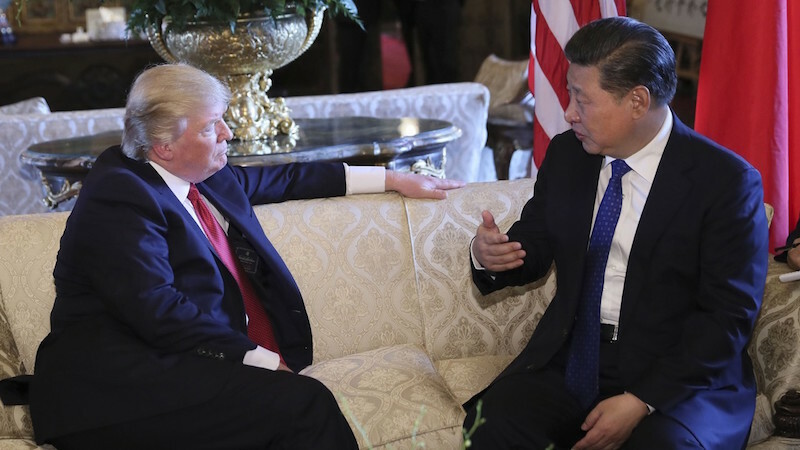 However, President Trump and President Xi's "long and very good conversation" mostly about trade drove global markets up this week as investors became hopeful that a trade agreement may be reached. "While we are still cautious over a full resolution of recent tensions in the medium term, resumption of dialogue between Washington and Beijing would be good enough to investors for now," said Tai Hui, chief market strategist for Asia at J.P. Morgan Asset Management. 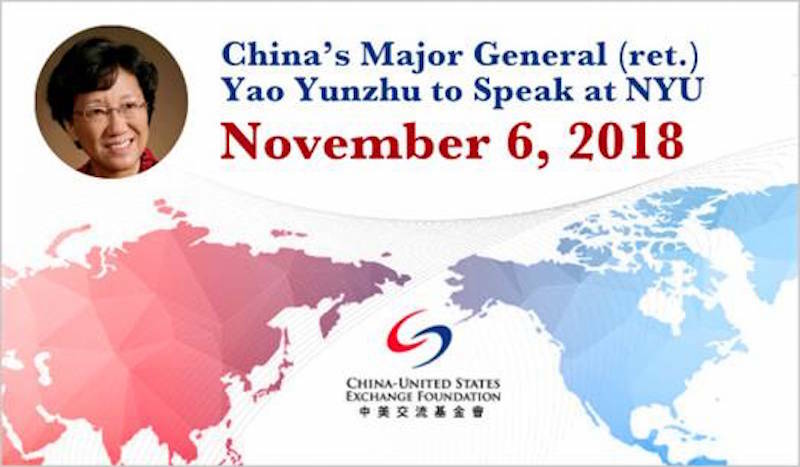 On Tuesday, November 6, we invite you to join the China-United States Exchange Foundation at New York University as retired Major General of the People's Liberation Army, Dr. Yao Yunzhu, speaks on military relations between the United States and China. Among the highest ranking women in the Chinese military, Dr Yao joined the PLA in 1970. She holds an M.A. from the PLA's Foreign Languages Institute and a Ph.D. in Military Science from the Academy of Military Science. She is a prominent military analyst and has published numerous books and articles on military and security issues. Dr. Yao will speak on the subject "China-America Military Relations: From Partners to Competitors? ", then engage in a wide-ranging conversation with Jeffrey Lehman, Vice Chancellor of NYU Shanghai, and Daniel Russel, U.S. Assistant Secretary of State for East Asian and Pacific Affairs from 2013 to 2017, and the Vice President for International Security and Diplomacy at the Asia Society Policy Institute. For more information on the location and time, please visit our website.